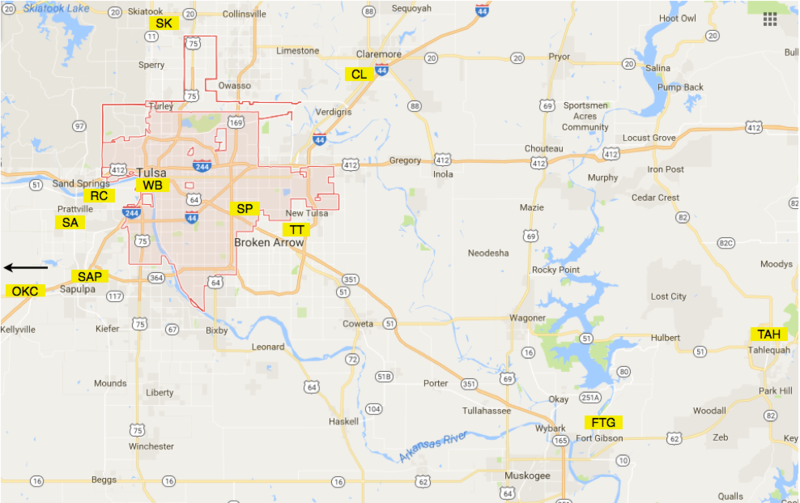 Where do WSA Teams Practice? The facility is equipped with 11 full-sized fields, the club’s clubhouse which features the team video room, player's lounge, and pro shop, and a central concession/restroom facility, 6 lighted fields, training goals and equipment, accessible parking, the Riverparks Trail adjacent to the facility, and more amenities on the way in 2017! 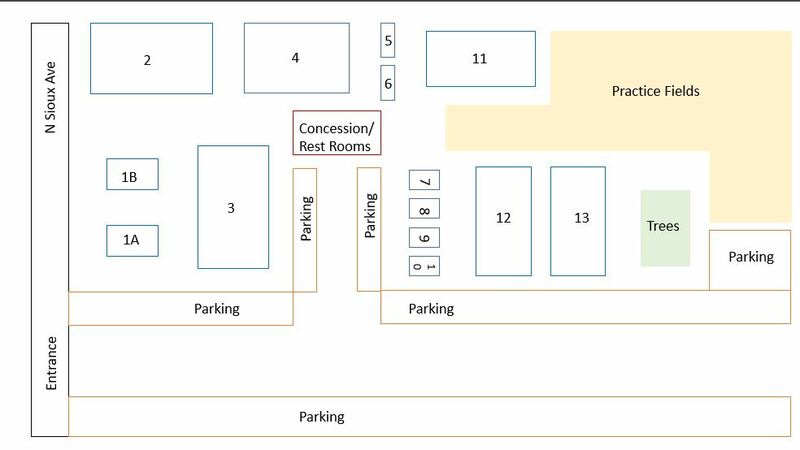 4 Lighted Training Fields, 8 full-sized fields, running trail, new modernized restrooms and concession, clubhouse, water park splashpad, access to indoor Case Gym Facility, new paved parking lot, and coming Fall 2017 new showcase full sized and fully lit field (field #1). 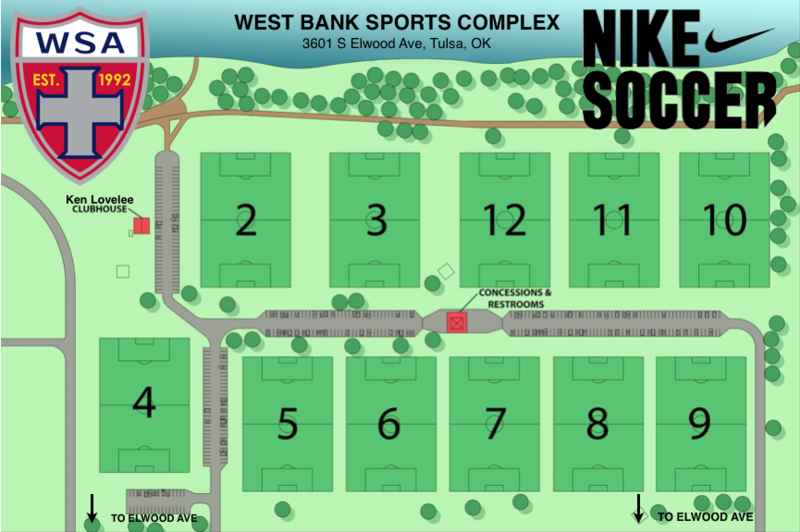 40 Acres of soccer fields in the town known for Will Rogers! Two lighted fields, Many small-sided fields, Centralized Clubhouse, field side parking, running/walking trail. 2 Full Sized Match Fields, 10 Small-Sided Match Fields, 8 Acre Training Ground, Centralized Clubhouse and concession. Fully outfitted soccer facility with full sized & small sized playing fields. 6 Lighted Training Quads, centralized Player's Clubhouse, Sports Performance Indoor Building (under construction), Field Side parking, indoor restrooms, club pro shop (on the horizon). * Golf Greens if parents want to practice while their child is practicing soccer. 10 acre, all bermuda grass facility divided into 4 full-sized training quads. Outfitted with temporary lighting and movable goals. All bermuda grass facility with central concession, restroom, and clubhouse. Adjacent to the Sapulpa HS full sized, lighted, synthetic turf match field. 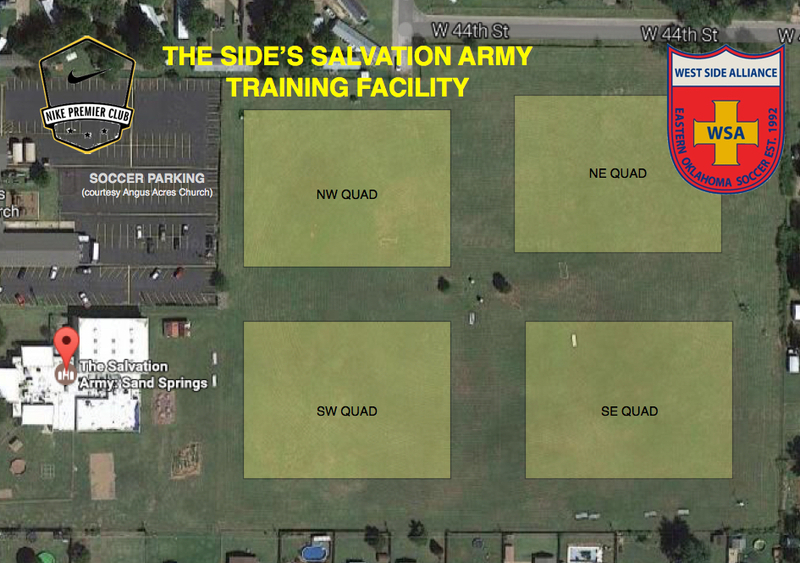 WSA's East Tulsa training facility. All Bermuda grass facility with goals.